I love vintage military style. 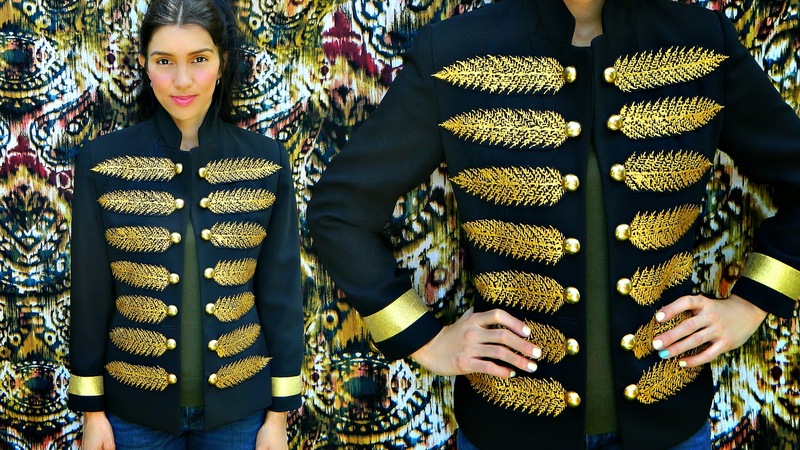 All of the gold embroidery and big beautiful brass buttons look so chic! 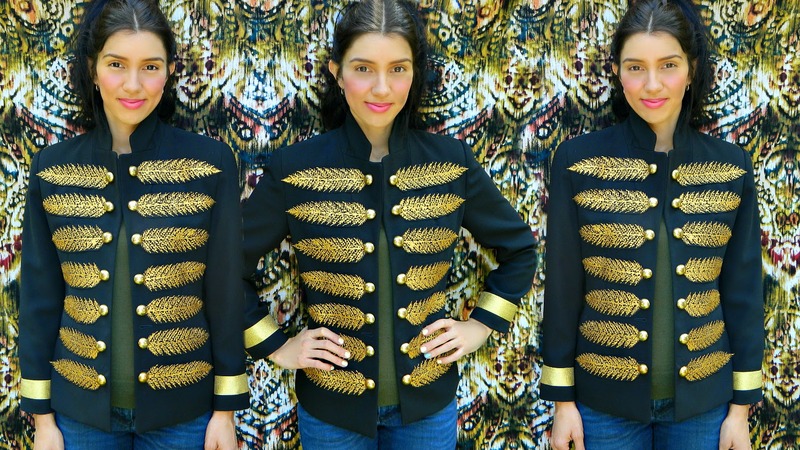 Military style jackets look fantastic with everything from jeans and basic tee to a floral sundress. Just take a peek at last month's Vogue magazine. 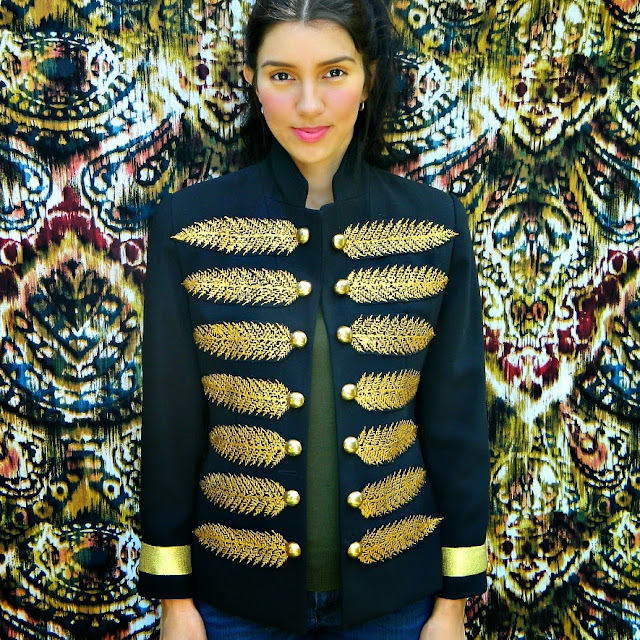 Now, you can make yourself a beautiful military inspired jacket from one of your old blazers...and guess what....there is hardly any sewing involved! 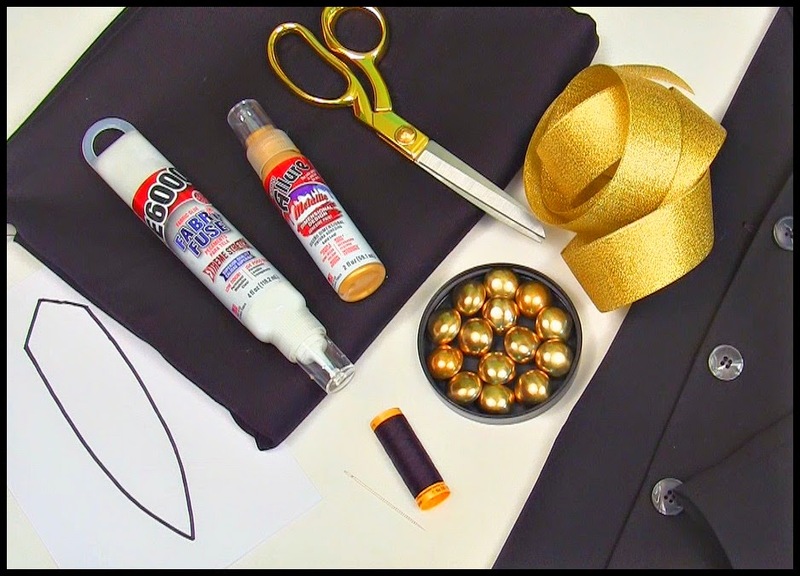 The only thing you have to sew on is the buttons. You'll look just like you stepped off of the runway. Danielle rocking her vintage military style blazer! 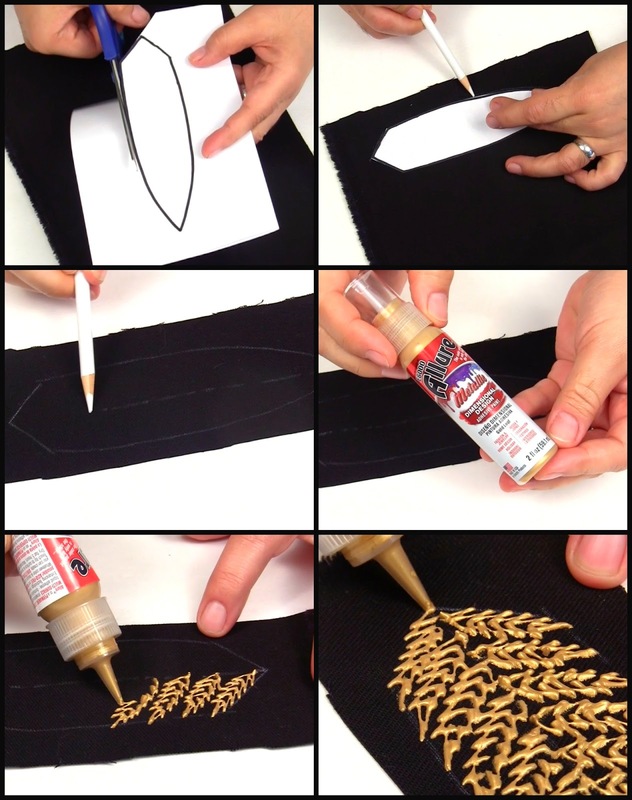 This is a wonderful idea, and I appreviate the tutorial. 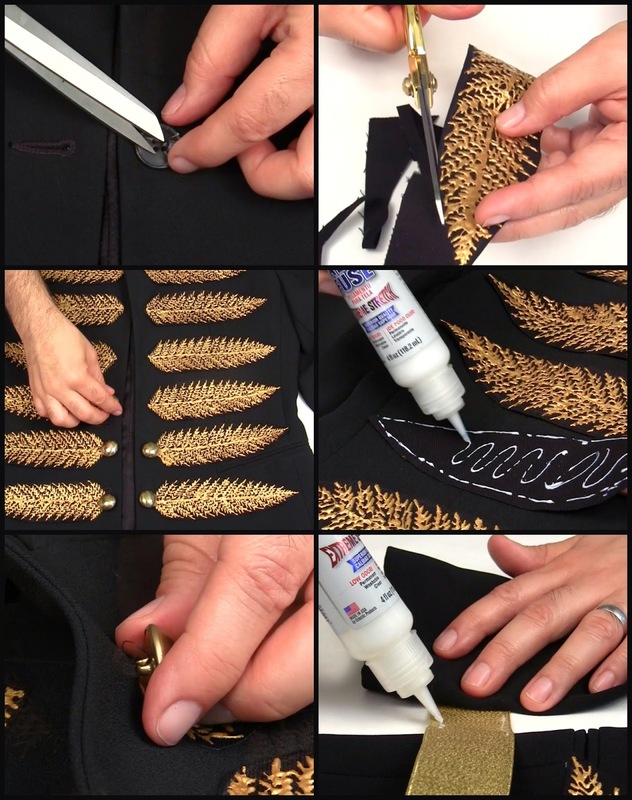 I'm wondering if the feathers could be painted directly onto the jacket? Hi Joan, I thought about that a lot actually. It was MUCH easier to manipulate the smaller pieces of fabric one at a time then a whole jacket. 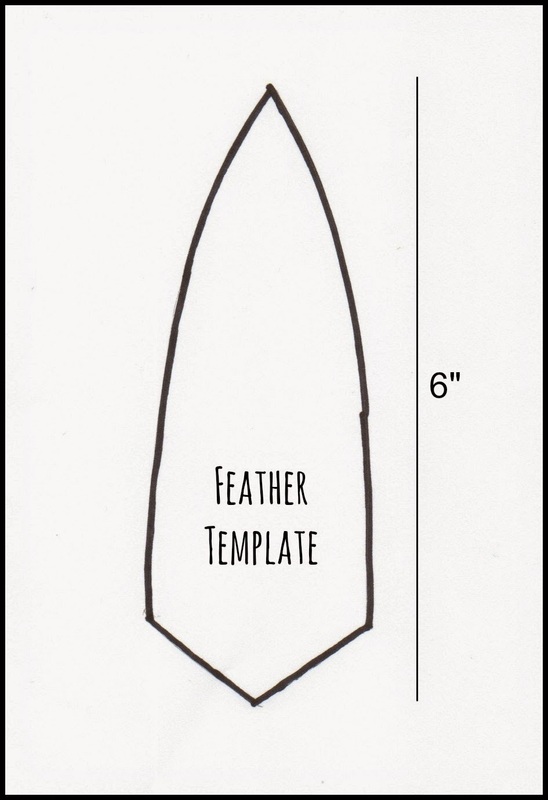 Plus I could get them more uniform and if I squeezed out too much paint and messed up, I could make another feather. On the jacket, it might not have been that easy. Hope that helps! Wow this is awesome!! Looks like a store-bought designer jacket without doubt. Thanks Tanaka! I am really happy with the way it turned out.